We are the largest US tax desk in Israel with more than 38 years of experience in preparing tax returns. What should you look for when you are choosing a professional to file your tax returns and on what should you place emphasis? The complete guide to choosing a U.S. tax expert. Quite often, however, it turns out that the case is not as simple as you might think and, when filed by an amateur accountant or self-prepared, can include many mistakes which might cost you dearly. You should always remember that even if you hire a professional to prepare your returns, you’re still legally responsible for the consequences. Some of the errors are not a big deal, but the problems can either create negative positions in later years or require amendments to be filed with the IRS. This is not to say that in some cases a return can’t be self-prepared, but you need to consider that if you live overseas and work for a non-U.S. employer, there is no such thing as a “simple” return. Knowing what to pull from a telush (salary payslip) or a Tofes 106 (Form W-2 equivalent or annual salary statement) can be very important. It is just as important to know what not to take from these forms. You may have U.S. risky investments that you haven’t reported for many years or you are missing out on refunds that have passed the statuary cut-off date and may be too late to claim. If you are looking for an area to save on, I would suggest the FinCEN Form 114, aka the FBAR. The Foreign Bank and Accounts Report is a great report for taxpayers to file on their own. While the FBAR’s user interface has a lot of room for improvement – filling out the form can be time consuming and the penalty risk high – the form’s instructions themselves are rather simple. Before preparing, I would suggest reading up on what should be included and what can be left off the form on our FBAR webpage, or watch our video which provides excellent guidelines. Spending 10 minutes watching this video might easily save you 500 NIS or more. Getting back to the Form 1040 U.S. federal tax return, do you really need to use an accountant, and if so, why not the cheapest you can find? After all, if there is an issue, can’t any U.S. accountant figure it out? Besides, all you have is a simple salary and maybe a small investment. This is a trap many have fallen into. First, it’s important to know that dealing with the IRS is a pain you do not want, no matter how simple your tax return is. 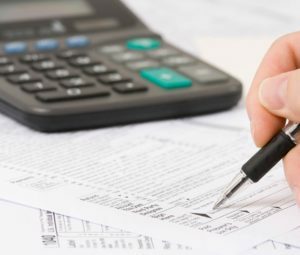 Even if it is your accountant’s fault, you will personally be held liable by the IRS unless you can show true reasonable cause, and that is increasingly difficult to do these days. Additionally, we have seen a large number of returns with bad positions taken that either put the taxpayer in danger or does not maximize their refunds. The IRS can come back to you for six years or longer when international forms are included, and if the return is prepared incorrectly you could be looking at the IRS asking for the return of multiple years of refunds plus interest. Would you entrust your health to a cheaper doctor to save some money? For most, financial stability comes after health on their list of priorities. If you have spent your time earning your money, you should invest in keeping as much of it as possible, and make sure it’s being done responsibly. Enough negativity. How is Philip Stein & Associates better? We are the largest US tax desk in Israel with more than 38 years of experience in preparing tax returns. We are the trusted advisors for thousands around the world with decades of experience dealing with all level of complexities and all types of U.S. tax returns. We specialize in those international and expatriate areas in which you will need to make sure that your return is being prepared properly. Additionally, we will automatically ensure that your return is being filed in the most optimal way that will get you back the maximum amount possible. We believe in rapid response times. To achieve this, you will have an associate directly assigned to your tax return to respond to your questions as fast as possible. Your tax return will then go through multiple levels of review to protect it from any possible errors. Additionally, we assign a team leader, manager and partner to all client files to make sure that we can answer any question you have, no matter how complicated. If there is anything that requires the help of a lawyer, financial advisor or Israeli specialist, we have cultivated hundreds of relationships throughout the world with many different partners, and can connect you with the right person for your specific needs. People often think that they should be looking for a one-stop-shop for both their U.S. and Israeli taxes, but after coming to us they soon understand that we offer something much better. One-stop-shops usually have different people in each department, and don’t specialize in either US or Israeli tax, but only have a general knowledge of both. We have many Israeli accountants with whom we work very closely all over Israel and the U.S.
Philip Stein & Associates specializes in the U.S. side and are very well-versed in Israeli taxes to be able to give you guidance that works for both countries. By working hand-in-hand with Israeli accountants, we can service our clients from every part of the country and you end up with people who specialize in both areas, thus helping you maximize your options and minimize double taxation. We pride ourselves on being up-to-date with all tax changes and producing unique, creative solutions to help your distinctive situation. Over the past 38 years we have helped save clients many millions of dollars that would have otherwise been unnecessarily paid in taxes. We have found great solutions for investments in the U.S. and overseas, planned with clients to properly design your financial structures, and have found solutions to the taxes created by the Trump Reform, including the Repatriation Section 965 tax, and the new GILTI tax. If you want an accountant who proactively reminds you about filing deadlines, prompts you to send in your tax documents, helps coordinate documents needed and, once all documents are received, prepares your tax return in a quick and efficient manner, then contact us today.